Palm Desert Food & Wine invites you to Hotel Paseo for a cocktail reception and a meet and mingle with Palm Desert Food & Wine celebrity chefs. Enjoy culinary tastes from AC3 while you meet our all-star chef line up. 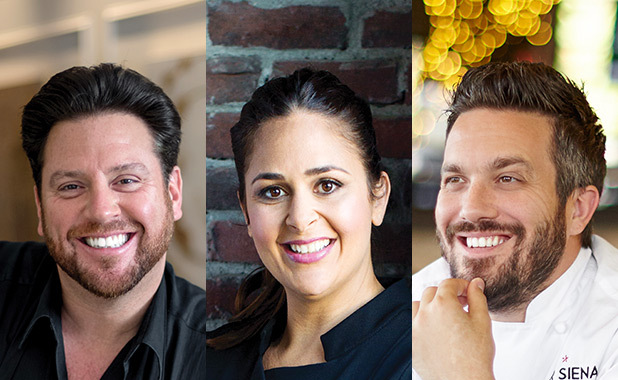 Scott Conant, Gale Gand, Karen Krasne, Antonia Lofaso, Stuart O’Keeffe, Nick Roberts, Fabio Viviani, Laura Werlin, Brooke Williamson, and Zac Young. Tickets are limited – reserve today. Because alcohol will be served, you must be at least 21 years of age to attend Palm Desert Food & Wine™ events.